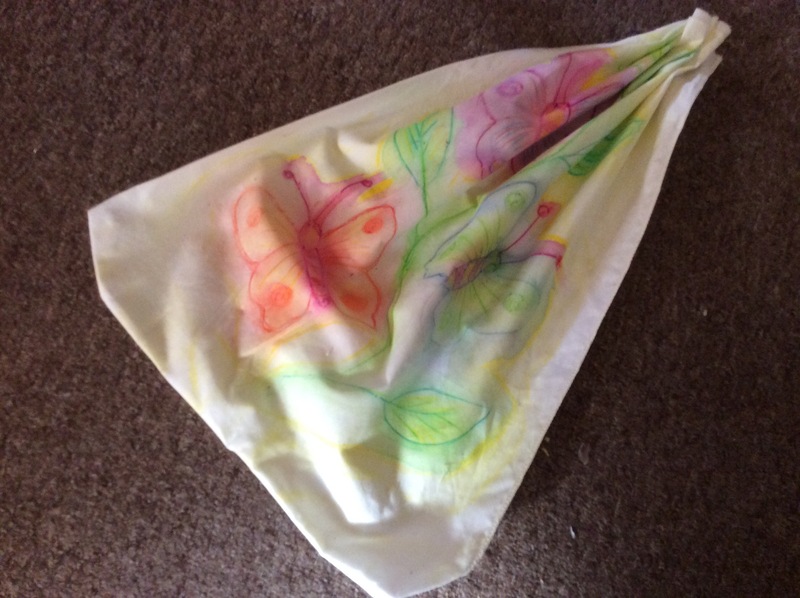 The Sunday Challenge programme showing us painting on fabric can be reached by clicking on the link below. It may seem strange to use artist’s materials for a child’s project but I did this for several reasons. I use the INKTENSE pencils myself so it made economical sense! I believe that children should whenever possible use good materials for art because they produce much better results. This, in turn, motivates them to do more. No doubt you have all experienced painting on that dreadful sugar paper provided by schools? Need I say more! Using poor quality materials produces poor quality results which can put people off painting for life! Projects produced with these pencils not only have a WOW factor but will last! INKTENSE PENCIL CRAYONS are extremely versatile and are equally effective when applied to paper or fabric. They can be used to create a diverse range of art from vibrant silk painting to detailed illustrations and delicate watercolours. They are also very economical and last for ages. The ones we used for this Sunday Challenge were bought about two years ago and have been used for many projects. I like these PENCIL CRAYONS because they can produce such different effects depending how they are applied. The colour can be applied to either dry or fabric which has been wet with water or, for a more permanent effect, a fabric medium. More layers of colour can be applied if a vibrant effect is required. The harder you press, the bolder the colors will be. I always iron the finished project to set the colours. 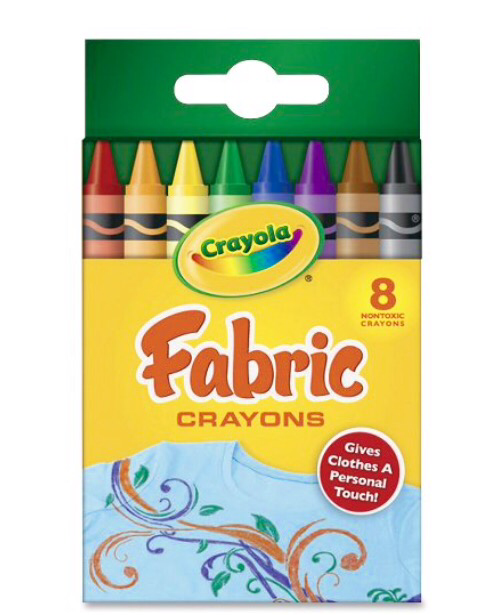 An alternative solution if you cant be tempted to have a go yourself, is to use the CRAYOLA FABRIC CRAYONS. These have good tapered ends making them easy to apply and the colours are good. Layering two primary colours produces a very true secondary colour.